In a large bowl, combine black beans, corn, red onion, bell pepper, avocado, cilantro, olive oil, red wine vinegar, lime juice, jalapeno, garlic, salt, and pepper. Stir until well mixed. For a spicier salad, do not remove jalapeno seeds before mincing. The best summer side dishes are big on flavor. 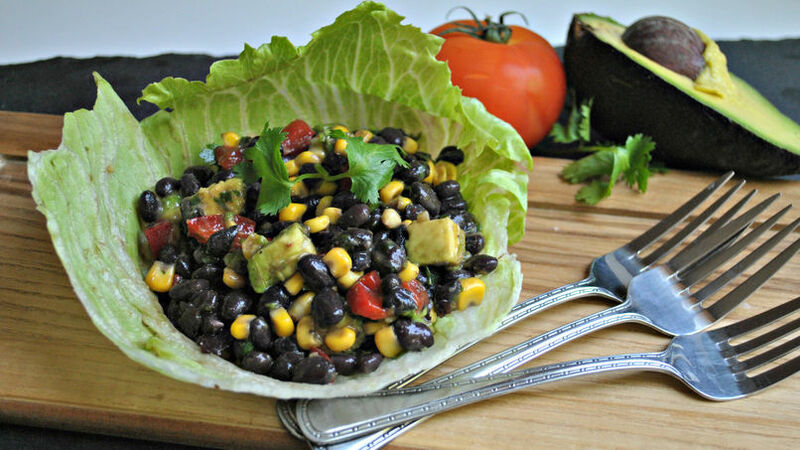 Fresh grilled veggies are great, but sometimes it's fun to try something new, like a black bean salad. This Spicy Black Bean Salad is a perfect summer side dish because you can make it ahead of time, it's easy to transport and is filled with fresh ingredients. It also ramps up the heat for any dish. Serve in a lettuce cup for extra freshness or as a traditional summer side dish to your BBQ's main course.